The dialogue between the work of art and its location is what inspires Eveline van der Pas. There is an interplay between the way the light falls and the flow of air currents that breathes life into the space and animates both the work of art and its surroundings. Light and air are subject to continuous change, charming the spectators and embracing them from one moment to the other in the eternity of now. Her installations connect the works made from felt with other natural materials and also with mirrors, photography, video images and sound. 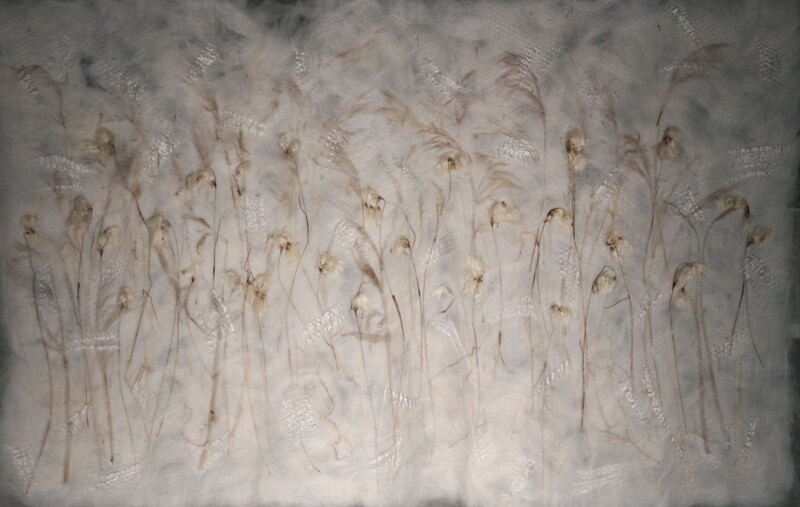 Key concepts in her work are: purity, zest for life, interconnectedness, space, reflection. Eveline can be found working in her studios in the towns of Marsum en Leeuwarden in The Netherlands or on location, including two months a year in Beijing or Wuhan, China. As a guest lecturer at the Academy of Arts & Design, Tsinghua University in Shandong she gives lectures and practical seminars. 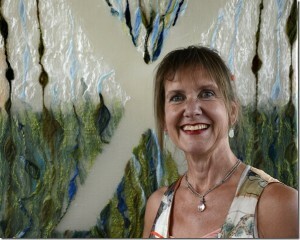 In addition, she teaches regularly at the Sculpture Centre in Koudum and at it Frysk Skildershûs in Leeuwarden. Before that, she taught drawing at teacher training colleges in Amsterdam and Diemen.